Happy Monday! An early morning drive home from the Jersey Shore (avoiding traffic 101) can only mean one thing- quick snack to hold me over. #CWE has a pretty versatile palette, but fruit-on-the-bottom yogurt has never really been our thing. Of course, fresh berries always rule the day, but sometimes you don’t have them handy or they’re out of season. This is why we always keep frozen berries & fruit on deck. They’re cheaper than fresh berries #holla and you can use them in a lot of different recipes. 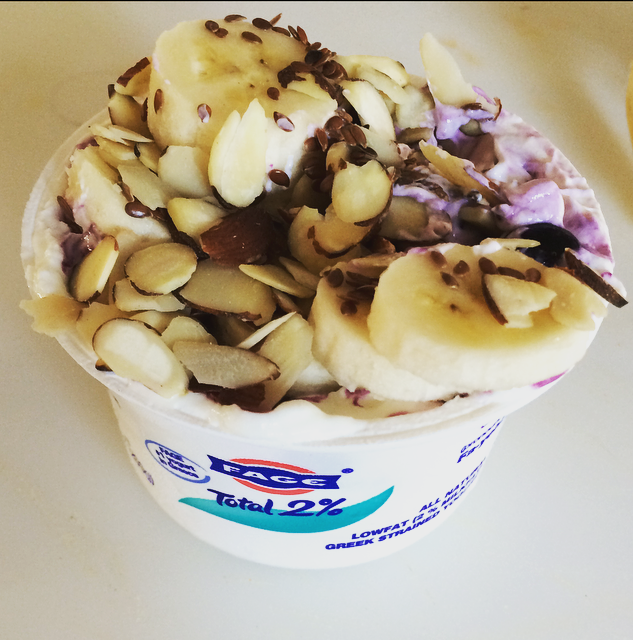 Fruit yogurt 2.0 is really easy to prepare & serves as a really great snack. 1. Microwave your frozen berries in a cup for about 30 seconds. 2. Mix in the berries with the plain Greek yogurt, and then top with any toppings!